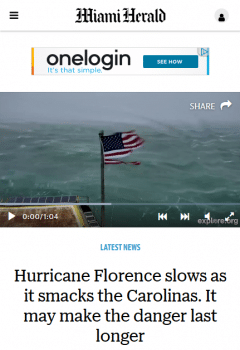 The Miami Herald never mentioned global warming in 21 stories on Hurricane Florence, Public Citizen found–despite being based in one of the U.S. cities most vulnerable to climate change. 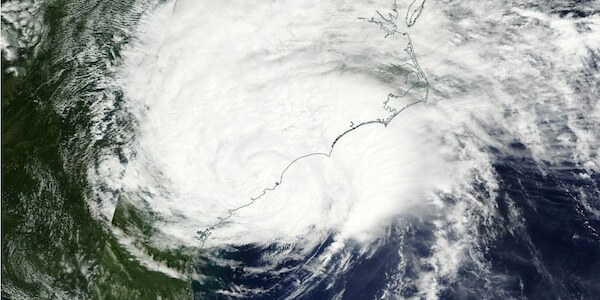 But news audiences were rarely informed about the contribution of human-caused climate disruption to the devastating storm, according to a study of hurricane coverage by Public Citizen. Less than 8 percent of Florence stories in the 50 top-circulation U.S. newspapers (9/9–16/18) mentioned climate change—and only 4 percent of segments on major TV outlets. 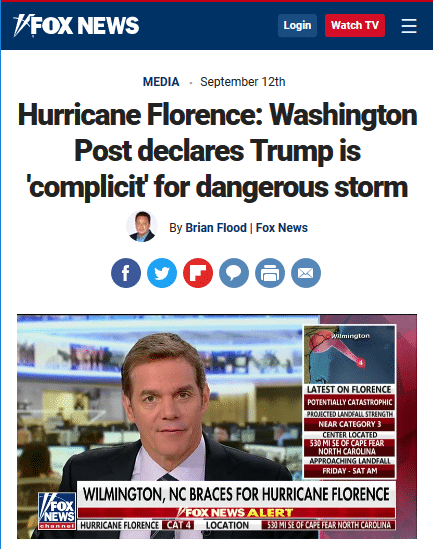 All five of Fox News Network’s mentions of climate change were segments denying the relationship between the storm and climate change. 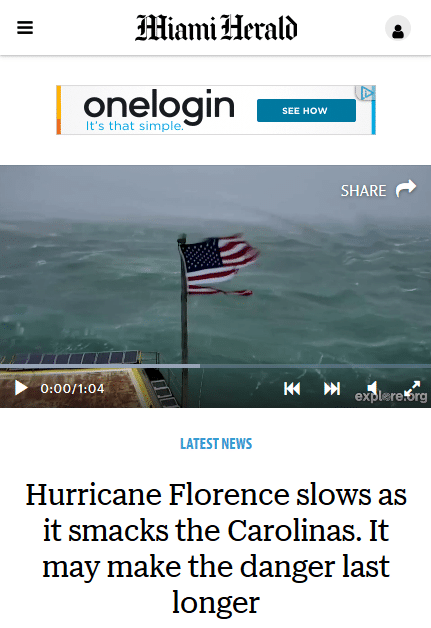 “When outlets fail to connect these events to global warming, audiences are left uninformed about some of the most critical decisions we face,” David Arkush, who directs Public Citizen’s climate program, said in a statement. We need a serious national discussion about the urgent, existential threat from climate change and how we are going to fix it—and it’s very difficult to have that conversation when media won’t talk about the topic.